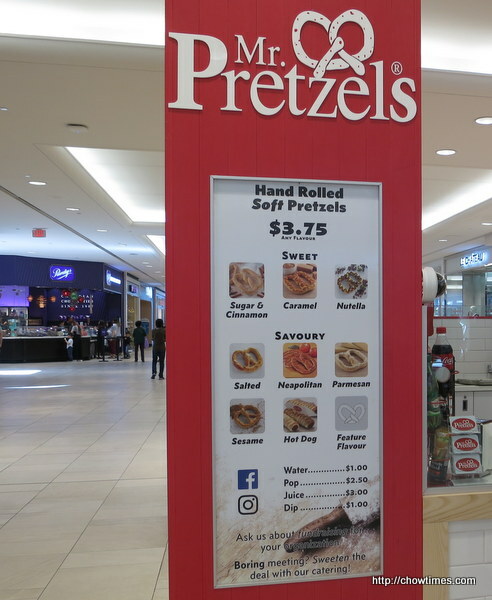 Lorna and I picked up a pretzel from Mr. Pretzels for snack while we were in Richmond Center. 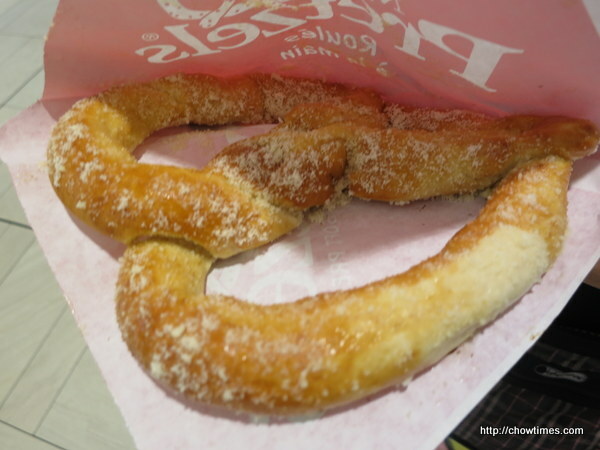 My family used to get this type of soft pretzel from Metrotown a long time ago. The pretzels are made at the spot. 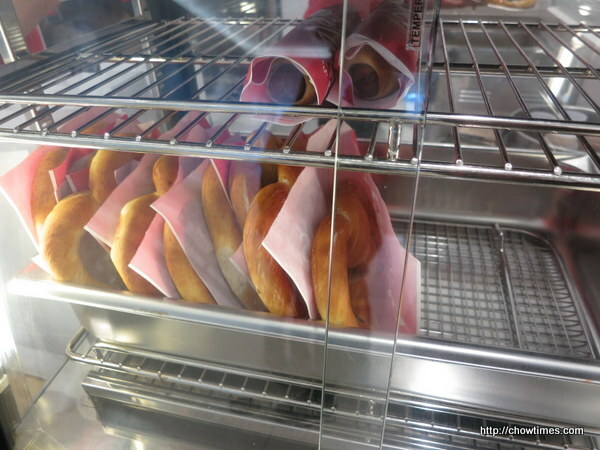 We had the Parmesan pretzel which is in the savoury list of pretzel. It was quite messy eating the pretzel as the toppings kept falling off but it was good.